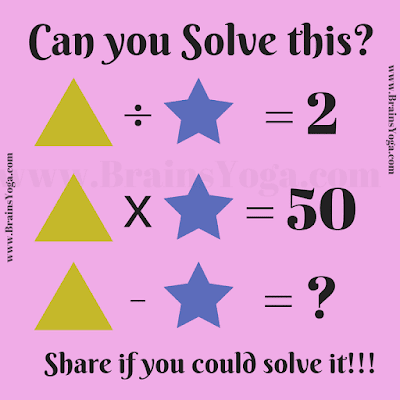 Fun With Puzzles Algebra Problems Brain Teasers Maths Puzzles Puzzles Can you solve this Maths Equation? Here is simple Mathematical equation for kids. In this Maths equation you challenge is to find the value of given variable Triangle and Star and then solve the last equation. 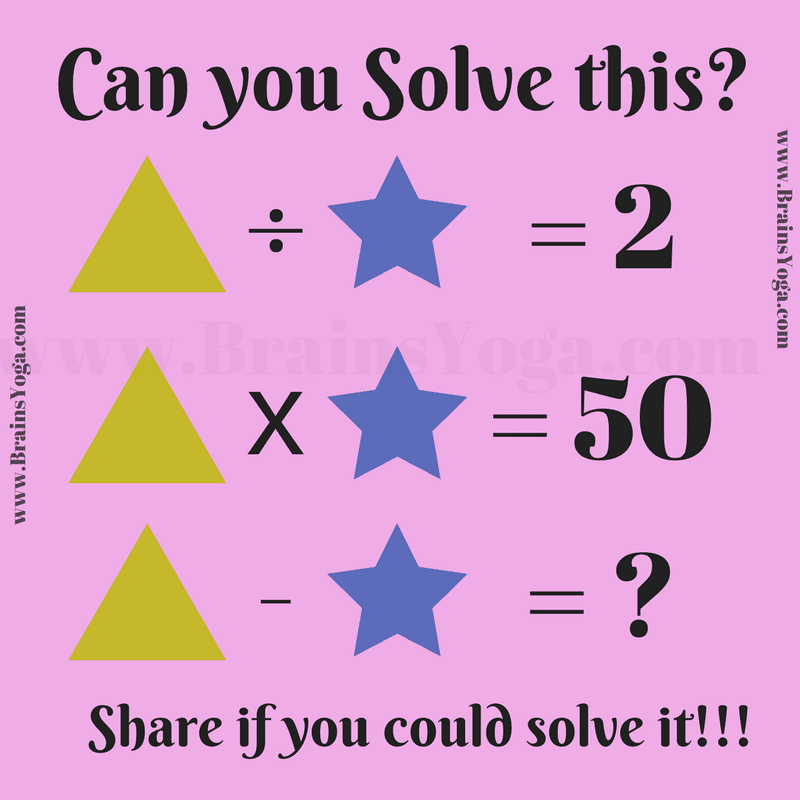 Can you solve it as quickly as possible? The Answer is 5. Triangle is 10 and Star is 5.